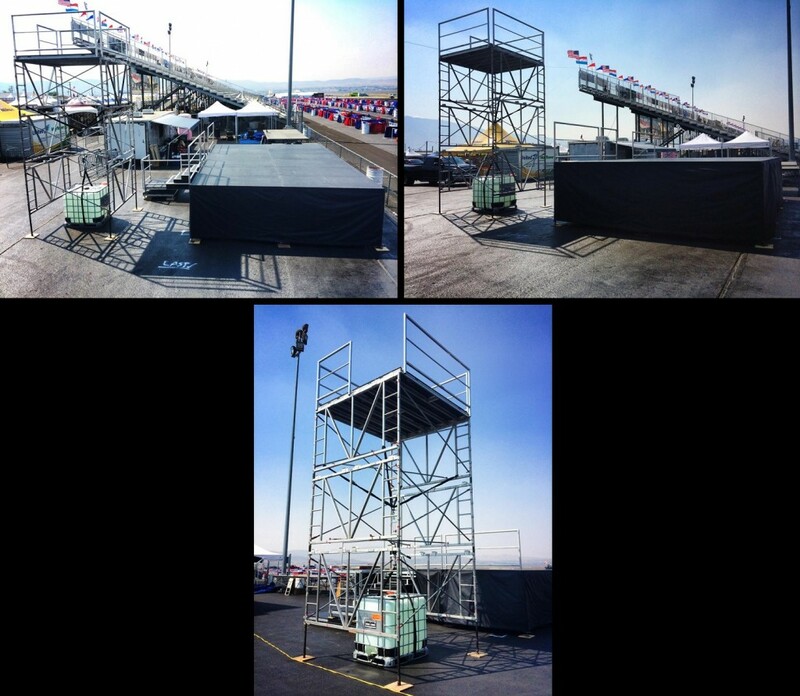 Spot Towers for rent from Stage CMDR, Inc. in Sacramento, California. 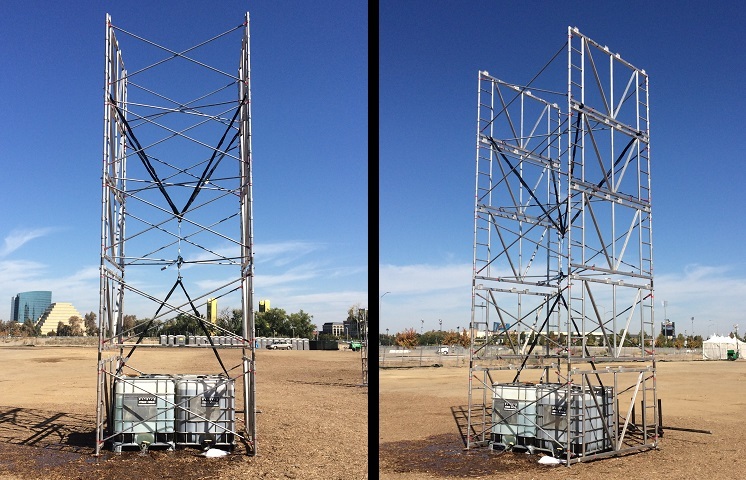 Spot towers can be made to any height up to 40-50+ feet and various widths and lengths. 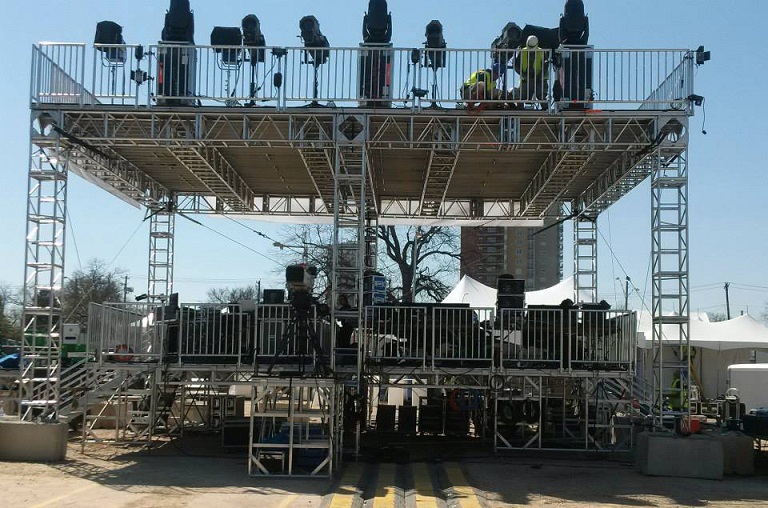 They can also be used for not only follow spot operators and equipment, but also for front of house personal and equipment. 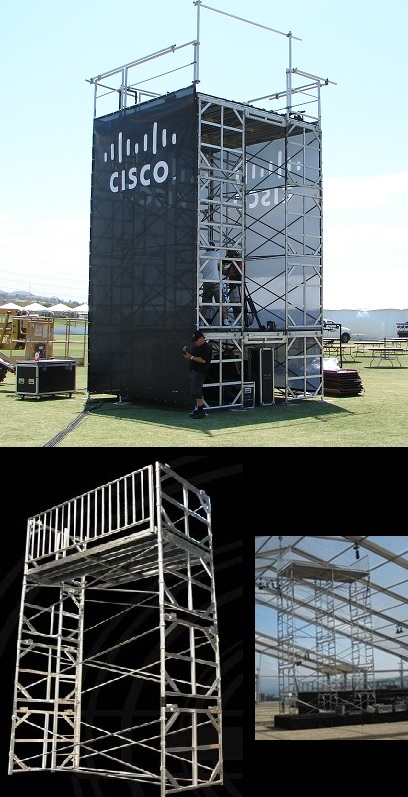 A 40×40 FOH and spot tower mezzanine structure weighted down with concrete ballast.